Benefits to your firm – We save you time and help serve the needs of your clients. Short Sales take time! Sometimes it takes many months to get the property under contract and negotiate terms with the lender (or lenders) involved. We do all this work for you! We assume all the time and expense of selling the property and negotiating the Short Sale approval so you can concentrate on providing legal services to your clients. We have successfully worked with many law firms providing foreclosure defense services in the South Florida area, and look forward to working with you too. Please visit our Short Sale page or any of the other links above for more information. Please contact us if we can answer any questions or help your law firm with Short Sales. 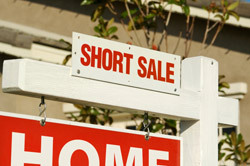 (1) There is no guarantee of getting a short sale approval from any lender. Each property is unique, every client situation is different and lenders evaluate short sale proposals on a case-by-case basis and approve them with varying terms and conditions. Historically we have successfully concluded dozens of short sale transactions and helped our clients avoid foreclosure with each sale.